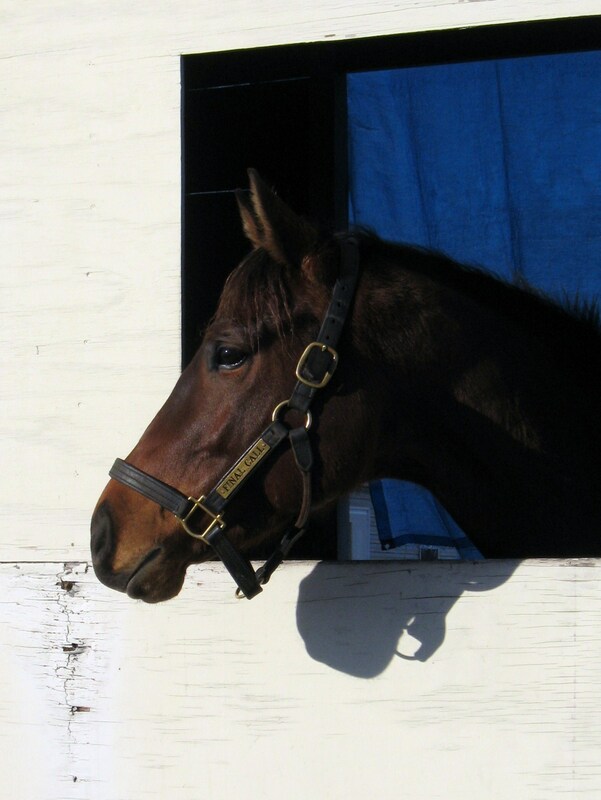 Retired Racehorse Blog started out as an experiment. What would happen, if I picked up a likely OTTB and documented his training from racehorse to sporthorse in a blog? There were a lot of good reasons not to… not least that I was terribly shy both of my writing and of my training prowess. But there was one very good reason to do it, and that was a five-year-old Thoroughbred gelding named Final Call, who I ran across at a training center in Ocala, looking idly for a new job. Getting on Final Call, after years of not riding, was a revelation. We were in a round pen with high walls, next to a training track. He spent the first five minutes gazing longingly over the boards at the horses out on the track. He spent the second five minutes cantering graciously around the pen while I slipped and slid on a worn polo saddle. He would spend the next five months in my backyard, becoming my close friend while I learned to put into words all the theories I had acquired over years of schooling Thoroughbreds. And at the end of it, a happy field hunter was vanned off to a new home, while I set off to New York to pick up where I’d left off ten years before, to be an exercise rider. I made the racehorse into a hunter; but he made me go back to the racetrack. The original purpose, though, still stands. Make OTTBs’ lives better, make their riders’ lives better, by sharing insights on the lives that they lived as racehorses. Daily, hundreds and thousands of Thoroughbreds are seeking new homes. They flunk out of early training. They show no speed. They do not have the competitive aggression necessary to hold off their opponents. Some are – believe it or not – too sweet and yielding! For those not experienced with retired racehorses, the training path can sometimes be rocky. Many unlucky Thoroughbreds bounce from owner to owner after what seemed like a match made in heaven at the initial adoption or purchase. The Retired Racehorse Blog archives and blog posts are here to be part of your support network. It’s a training diary, but it’s more than that, too: it’s a place to ask questions, engage in discussion, and achieve a greater understanding of your Thoroughbred. The purpose of this blog is to ensure that people aren’t just adopting Thoroughbreds, but succeeding with Thoroughbreds. So happy that I came across your blog from your Facebook post! I would love to promote your blog, as I have a new organization called The Second Race, where I help network to transition ex-race horses directly from the track into new homes or careers. Good luck, I look forward to reading your adventures! I love your assessment of how thoroughbreds are looked at. I’ve been a vet on the backside of Canterbury Park for 3 years, and I also own no less than 4 OTTBs (one who is my retired eventing partner, one I am currently eventing, one starting eventing next year and the last one is a resale project). I don’t think I’ll ever compete anything else! They are spectacular athletes, and I think they’ve gotten a completely unfair rap, especially with the phasing-out of the “long format” events. Thank you for putting it so eloquently! We’d gladly add a link our site to your blog if you’d care to reciprocate! Check us out at http://www.mnrrp.com. Thank you Jen! I’ll definitely add your site – and your commentary is always welcome! that! Who were they? I love your blog, when I was growing up on Long Island, NY all our horses were TBs off the track. My junior jumper who many championships was a Bold Ruler! Hi! I like your ideas! The horse I am competing “Wango Tango” is a warmblood/TB cross. His mother was an ex-racehorse, I believe her racing name was Attagirl Penny. She was owned by an Olympic Eventer (Belgium) and I was lucky enough to compete through Prix St. Georg before she pulled a suspersory ligament. He bred her and now I own her son (Wango Tango, “Nickel”) and her daughter, a full TB by Risueno LaSilla, A Mexican showjumping stallion. I have competed a number of TB’s sucessfully and love them. I would be glad to keep you posted on their progess if you like. Would also be glad to put you on my blogroll. Was wondering if the TB’s had anything going on like the Mustang Makeover? Thanks for looking after a great and underappreciated breed! Hi Suzanne, thanks so much for the comment. I would love to be added to your blogroll and let me tell you that I’ll be adding your website/blog to mine. Your horses look comfortable and happy; your blog is informative and well-written. Everyone – go visit Suzanne’s blog! I understand that in Virginia there is a horse show series for retired Thoroughbreds. I don’t know the details. I would love to see something like that started up in Florida, although I think some of the local circuits have special classes. It seems like we could have a really large and successful points-monitoring type organization that awarded year-end prizes if anyone had the time and inclination. The Jockey Club isn’t going to do it and anyone still looking for that option is simply going to be disappointed. That just isn’t their function. The Jockey Club keeps pedigree records. That’s it. In my ideal world more Thoroughbreds would continue to compete under their registered names and could rack up points under a single umbrella from their USEA, USDF, USHJA, etc., winnings. Wonderful to come across another TB blog. 🙂 Was wondering if you could add a link to the bottom of your page? http://www.FriendsofFerdinand.org is a OTTB transitioning organization in Indiana. Thanks! Amy, I could have sworn you had a link at one point. Maybe it fell off when I “refurbished” the website. Sorry about that, I will be sure to add you! May I add that Friends of Ferdinand is also on Facebook and Twitter! Thank you for your delightful site. I’m sure I will visit again and again until I have read all the back posts as well. Thanks for being such an earthy and real spokesperson for the thoroughbred. God knows they need one or two out there. Most times when I speak to “horse people” about wanting a thoroughbred, they give me that special look that says, “she clearly doesn’t have a brain”, and proceed to inform me that thoroughbreds are “crazy”. Thank you the wonderful read this morning. I look forward to coming back. I love your blog. I’m thankful to have found it – I love OTTB’s and admire your approach to them and writing about it!! I have enjoyed, thoroughly, learning from what you’ve written here and I’m always waiting for the next post to come about. Thank You for all you do, riding and writing, about these special, unique horses. Thank you so much for sharing your stories and thoughts. I can’t wait to continue reading! Thanks, Stephanie! I have heard of Remember Me – it’s run by a trainer, isn’t it? I’ll have to add it to the list of adoption agencies. 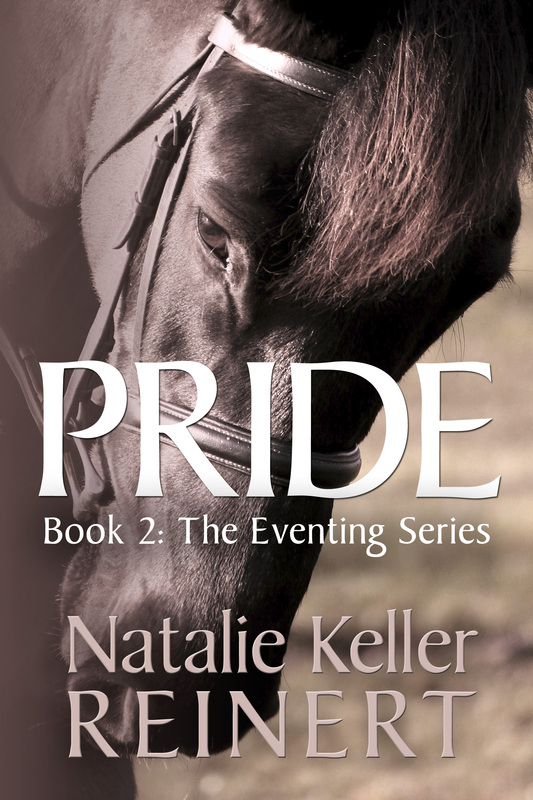 I’m really looking forward to reading more about your OTTB experiences as well! What a great community we are forming around retired racehorses! Its good to know that OTTB’s are as loved in the US as they are in Oz!